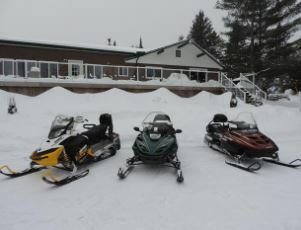 The Trout Lake area is Mother Nature’s playground, and is ideal for outdoor recreation like snowmobiling, fishing, hunting, ATVing, or anything else the soul might yearn for. Owls Nest Lodge is open year-round, and the road in is well maintained, so winter, spring, summer, or fall, guests are always welcome. We have seven different rustic log cabins to choose from, ranging from one bedroom to three. 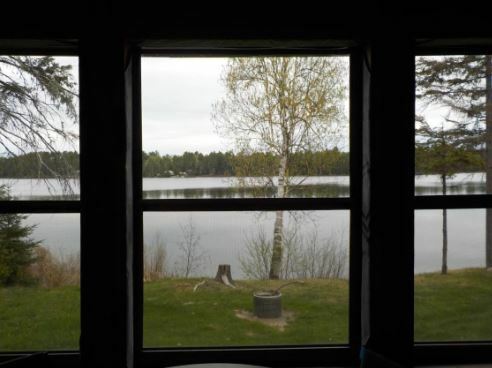 The cabins are all located on the south shore of Trout Lake, nestled in a grove of pine, birch, and poplar. All of these housekeeping cabins have screened-in porches, propane BBQ grills, a picnic table, and a nice fire pit to relax around. We have a nice sandy beach for sunbathing and swimming, a diving board off the dock, and two swimming rafts, one with a slide. There is a nice play area for the younger children, and we provide two complimentary paddle boats and two canoes for guests to enjoy at their leisure. 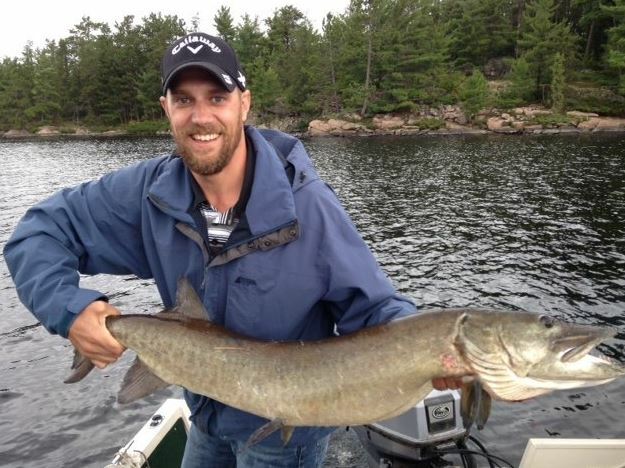 Trout Lake is renowned for its lake trout, Northern pike, mammoth muskies, walleye (pickerel), large & smallmouth bass, and panfish galore! Bait, gas, and oil are all available at the lodge for market price. The miles and miles of Crown land (public hunting grounds) surrounding Owls Nest Lodge is perfect for stalking big game like moose, bear, and deer. Duck, partridge, and rabbit are also plentiful. While staying at the lodge, you may be fortunate enough to see some of our beautiful wildlife. 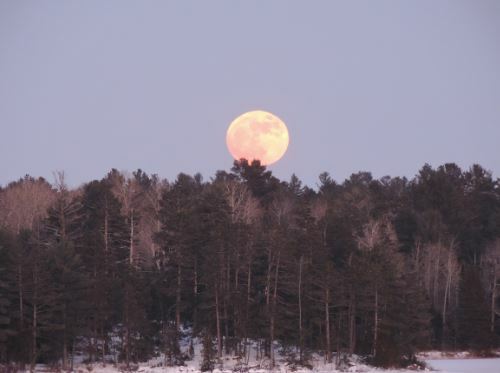 Black bear, majestic moose, whitetails, beavers and otters, and numerous species of birds, like the osprey, cranes, and the mystical loon – they all call the Owls Nest Lodge home, too. In order to provide our guests with the best possible customer service and ensure you have the most options available to you, we recommend reserving your accommodations early. During July and August, reservations are booked on a weekly basis, from Saturday to Saturday. Check-in time is 3:00 p.m., and check-out time is 9:00 a.m.